Join Our Clubhouse on for any one of three 60-minute yoga classes. 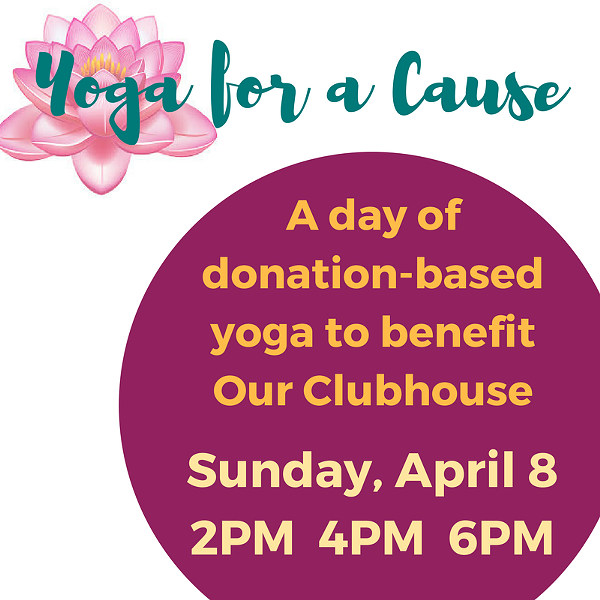 Your donation of $10-$20 helps Our Clubhouse continue to provide activities and programs for people living with or affected by cancer. RSVP is accepted through Eventbrite on our Facebook event. Donation is accepted at the door.